Andria Nicodemou photo by Rob Miller. Nonsequitur, Seattle’s beloved nonprofit dedicated to promoting experimental music, presents the 34th Annual Seattle Improvised Music Festival (SIMF), with support from the Raynier Institute and Foundation. Founded in 1985, SIMF stands as the oldest festival in the United States dedicated to wholly improvised music: no sheet music, and no score; nothing but musicians, instruments, and the moments they create before an audience. Running from February 6–10, the five day SIMF sprint takes place across five separate venues and features a plethora of performers, plus community improv sessions at Couth Buzzard Books, and during Racer Sessions at Café Racer. Festival curator and founder of Nonsequitur, Steve Peters, is excited to include in the 2019 SIMF “local artists who have never played the festival before…and a good multi-generational balance of players.” Along with Peters, co-curators Chris Icasiano—the propulsive drummer behind the sax/ drums duo Bad Luck—and trombonist Haley Freedlund have invited notable improvisors from around the country to perform and collaborate with local musicians, including bassist Abbey Blackwell, saxophonist Bryan Lineberry, and clarinetist Beth Fleenor. Visiting performers include Portland’s Holland Andrews, a clarinetist and vocalist performing under the moniker Like a Villian since 2009. Andrews set off her distinctive musical methods, characterized by operatic influences and the use of extended vocal techniques, in composing music for the critically acclaimed dance piece “Unwanted” by choreographer Dorothée Munyaneza. LA-based vocalist and dancer Odeya Nini, a graduate of the New School and California Institute of the Arts, applies her virtuoso technique to solo performance as well, though she has also collaborated with the likes of Meredith Monk and Butch Morris. Another LA-based musician, the prolific composer and saxophonist Patrick Shiroishi, brings his tenured but unpredictable tones to the table. Among his many projects, he plays in the brutal prog band Upsilon Acrux, the progressive “Zeuhl” group Corima, and leads the quintet Black Sun Sutra. Baltimore-based electronic musician CK Barlow, herself a multifaceted instrumentalist, commercial composer, and adventurous sound-seeker, having composed off the sounds of the US electric grid, vibrators, and elevator machinery. 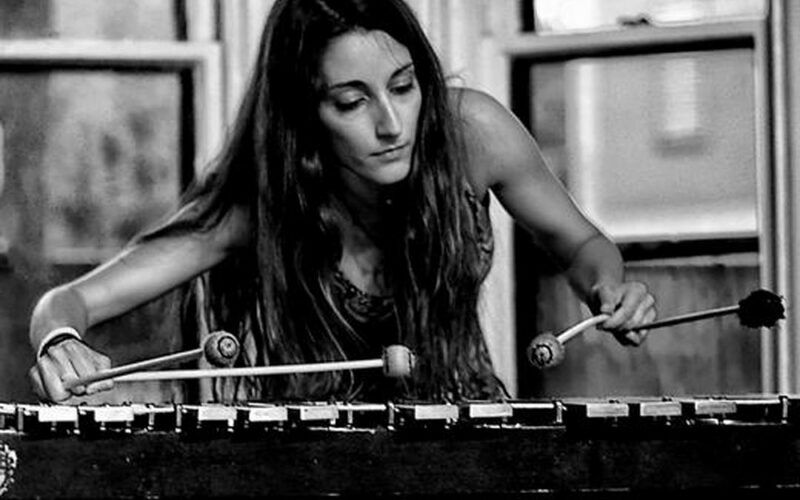 Cyprus-born vibraphonist Andria Nicodemou, based in Boston, is sure to surprise with the skill and wit gleaned from working with Joe Morris, Anthony Coleman, Ikue Morri, and others. The 2019 SIMF features a tribute to one of the festival’s founders, Paul Hoskin, who passed away last November. Hoskin was “a major figure in the improvised music community since the 1980s, as both a player and an organizer,” acknowledges Peters. “He was totally fierce and uncompromising in his devotion to free improvisation as a vital form of expression.” The tribute performance, featuring almost thirty of Hoskin’s friends and collaborators, promises to be a showstopper. In tune with the festival’s spirit of inclusion and collaboration, all shows are all-ages, with a suggested $5-20 sliding scale donation (cash/checks only). For a full list of performers and showtimes, see the festival schedule at nseq.org.